Brianna Rae Brochu, 18, was arrested and charged with third-degree criminal mischief and second-degree breach of peace on Saturday for bullying her university roommate, Chennel “Jazzy” Rowe. Rowe was not aware of the harassment until she discovered a post by Brochu on Instagram, where her roommate bragged about spitting in her coconut oil, putting moldy clam dip in her lotions and rubbing used tampons on her backpack for more than a month. Rowe discovered the post as she was moving out of the room when she was approached by a fellow dorm mate and two resident advisers, who showed her the post. Rowe said she was moving out because her roommate had already been making her feel unwanted by turning off the lights in the room with Rowe inside. “I moved out because I felt like I was unwanted in my own room,” she said. "I have to be cautious now because I don't know what she's messed with." Rowe went on Facebook live Monday to share her full account of the story. Rowe revealed pictures Brochu posted online including pictures of her own backpack the roommate posted showing the blood stains she allegedly added. Rowe said she slept next to the backpack not knowing. Rowe said her roommate’s actions also made her sick. She described suffering unexplainable “extreme throat pain” while living with her roommate. The university said in a statement that the case has been turned over from university police to local authorities. University President Greg Woodward said the incident has "brought about accusations of racism" and he wants students to know that he shares their anger. Woodward said the university followed proper protocol after Rowe reported the incident by bringing her to a safe location, contacting local authorities and offering support. Rowe said university officials did not act quickly enough and warned her not to speak out about her situation or she would not be allowed to live on campus. 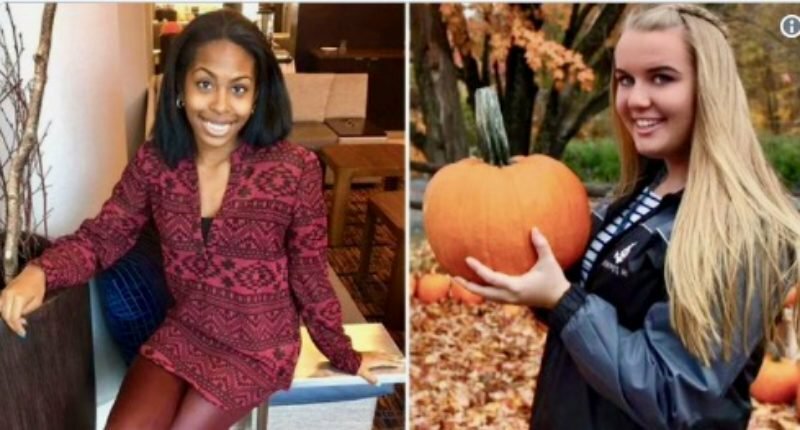 “The fact that I’m black and my old roommate was white if the roles was switched I want to know if it would be handled the same way,” she said. Brochu was not charged with a hate crime. She explained to police that she "began to lash out due to a 'hostile environment' caused by Rowe's "rude behavior," which she said included "not compromising, and posting Snapchat videos of me sleeping and making fun of me snoring," according to the Hartford Courant. Brochu told authorities she had licked Rowe's kitchen utensils and put her body fluid on her backpack but said "anything else she bragged about on social media was a lie in an attempt to 'appear funny.'" Rowe said in a Facebook post that she could not stay quiet about her roommate's actions. Social media users quickly started using the hashtag #JusticeForJazzy in support of the student for speaking out.